Grade 30 chain is an excellent general purpose, low carbon utility chain. The chain is manufactured to NACM standards. Each link is proof tested two times and the break load is 4 times the Safe Workload (design factor 4:1). It is recommended for applications that do not require high strength-to-weight ratios. It is often used on farms, in industry and at home for general purpose applications, such as pulling stumps, lashing cargo, truck tailgates and guard rails. 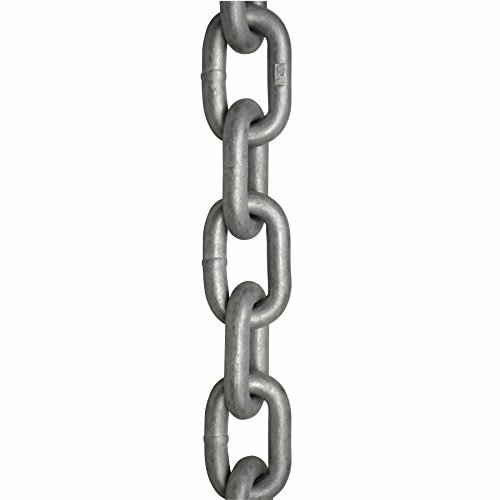 Chain is galvanized which provides with excellent corrosion resistance. Do not use for overhead lifting. Never exceed the Safe Working Load (SWL). If you have any questions about this product by KingChain, contact us by completing and submitting the form below. If you are looking for a specif part number, please include it with your message.